Birth 24 Oct 1648 Rowley, Essex Co., Mass. 1. John Spofford, b. 12 Jun 1678, Rowley, Essex Co., Mass. 2. Mary Spofford, b. 9 Mar 1680, Rowley, Essex Co., Mass. 3. David Spofford, b. 23 Nov 1681, Rowley, Essex Co., Mass. 4. Jonathan Spofford, b. 28 May 1684, Rowley, Essex Co., Mass. 5. Martha Spofford, b. 16 May 1686, Rowley, Essex Co., Mass. 6. 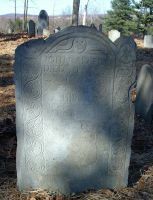 Ebenezer Spofford, b. 14 Jun 1690, Rowley, Essex Co., Mass. 7. Nathaniel Spofford, b. 10 Sep 1691, Bradford, Essex Co., Mass.